Exciting news! Lots of amazing features are coming after summer, but we just couldn’t wait to show off what the team came up with this time! We took a long hard look into Operative Reports and figured it deserved an expansion. So that’s exactly what we did. You can now report your surgery like a boss and wow all your colleagues with your superior note-taking. Seriously, we made it easier than ever to customize the surgery process up to your own standards and gave it a nice place on the treatment tab to help you navigate your way around. We added a template builder that allows you to set up your operative report to your own liking. We added an operative report under the treatment section, so you no longer need to use a text template in the notes section (you still can, however, if you don’t like change…). 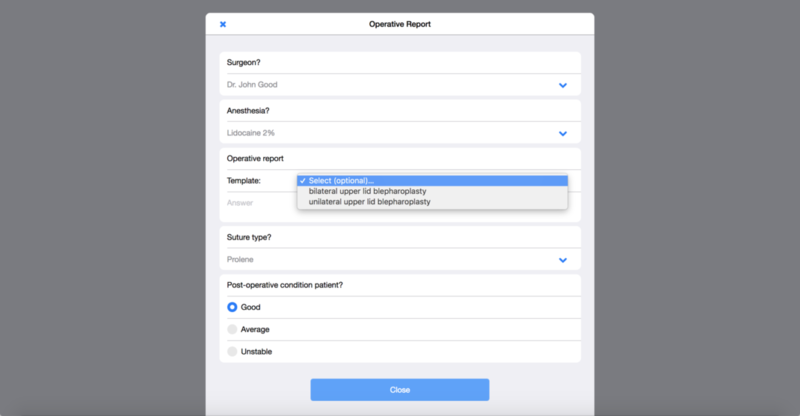 Give it a try and make sure to set it up before your next operative report so you can start using the new feature right away! We hope this makes your life that much easier. Thank you for using Clinicminds, and see you at the next update!